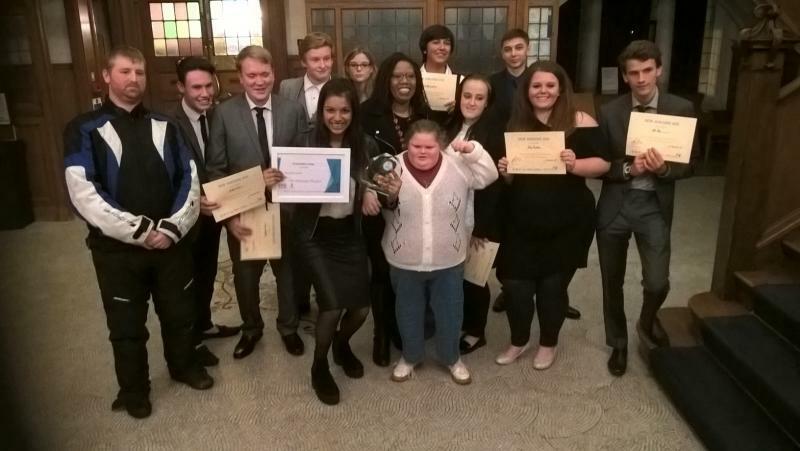 Medway Sunlight Rotary is pleased to work with the Medway Youth Trust on their many and varied projects. On Thursday 10th December 2015 the New Horizons Graduation evening was held in the Ward Room at the Medway campus of the University of Greenwich. The event was a celebration of everything the participants had achieved on the programme and a chance to thank all of the people who supported them on such a unique journey. "It was a pleasure to attend this ceremony to recognise and celebrate the achievement of the eleven young people who went to Columbia recently. They all have had to overcome different issues or learning difficulties in their young lives and as a group they managed to raise more than £20,000 to fund the trip. They did this by organising events which involved, rowing, running, walking, quizzes, car cleaning, baking and asking for help from local businesses and clubs such as ours at Medway Sunlight. Several of them had helped in Cam's garden and it was amazing to see the change in these youngsters in a few months. They were proud, confident and not afraid to go on stage and speak to an audience about their experiences. Something that only a few months ago would have been a lot more difficult to do. Their trip to Columbia was not a holiday and involved working every weekday and they had to overcome many obstacles involving the environment, culture, language, food and living conditions. They deserve their certificates of achievement. New Horizons project with Medway Youth Trust should be proud of the work they have done with these young people. Medway Sunlight look forward to following the fortunes of all the graduates and wish them well as they continue their education and further their careers.